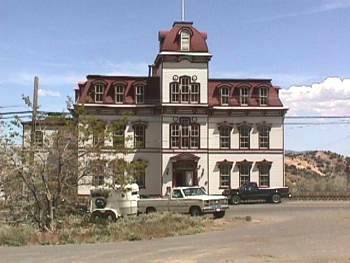 Constructed in 1876, this century old school building appears ready to meet the thundering feet of students, but it stands untenanted today. Only the memories of the great and near great remain. Classes ranged from first grade through high school where the pupils had a full curriculum.